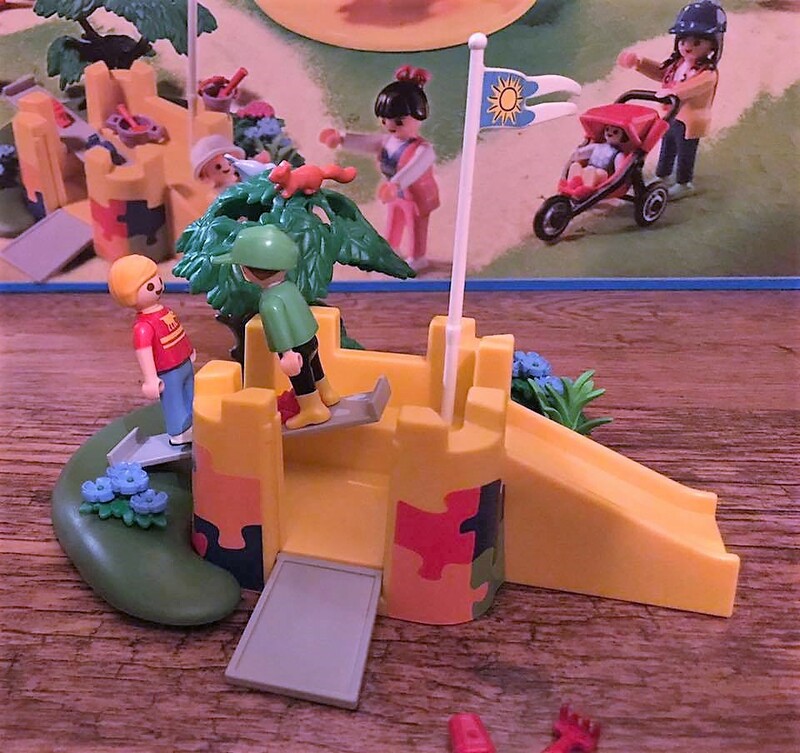 Playmobil have been a household name since Hans Beck created it in 1974. They have since become a classic of children’s playrooms, immersing children for generations into a world of make believe and imaginative play. 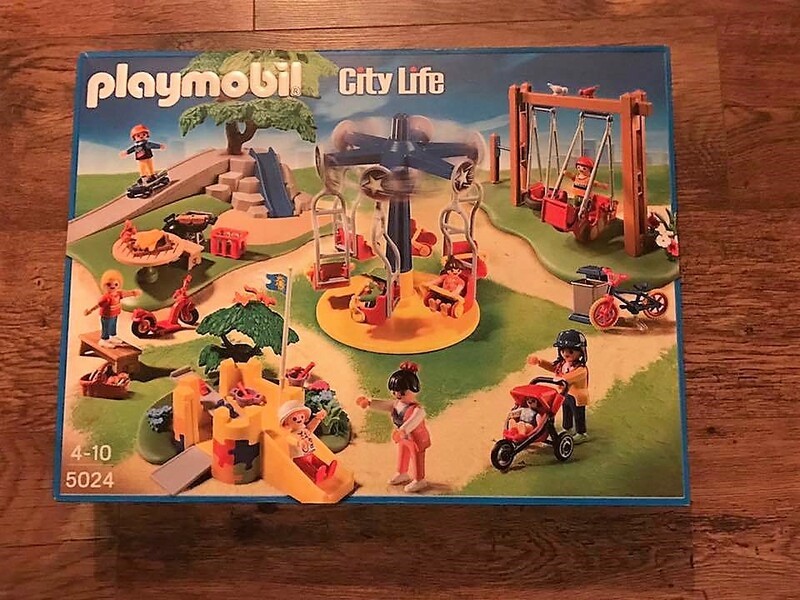 Smyths Toys have kindly sent us this charming Playmobil CityLife Childrens playground set retailing at £39.99. I was surprised at just how big it is. I wasn’t expecting it and for the price I think it is an absolute steal! 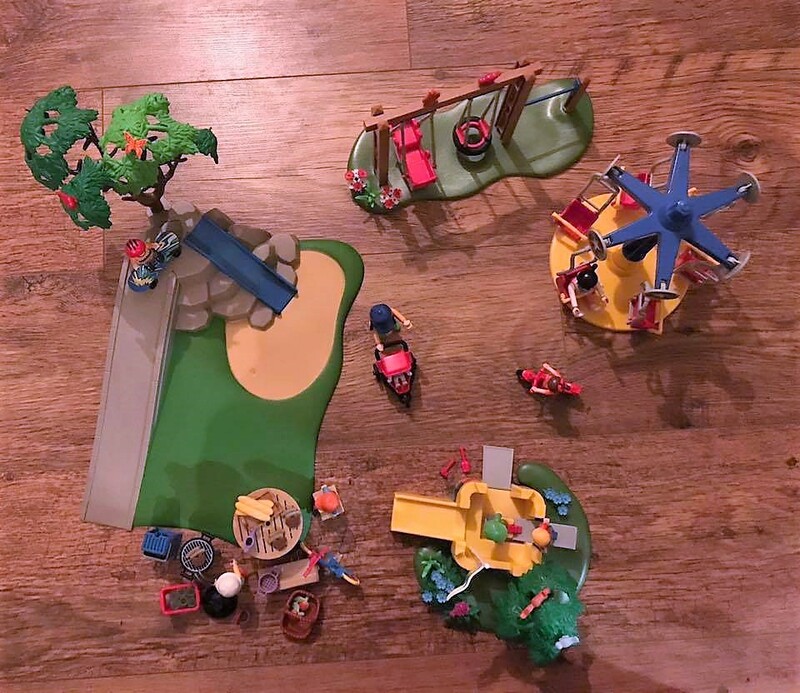 9 Playmobil figures! How amazing is that! As well as a range of accessories; Barbeque, sausages, bench, bottles, bucket and spade and more! 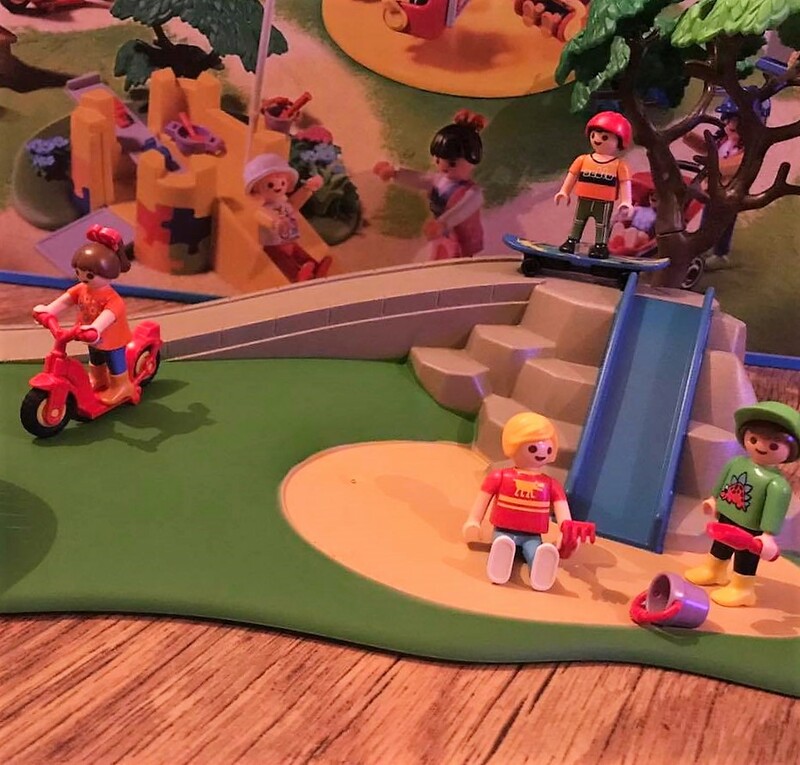 What I love the most about Playmobil toys is that there is nothing electronic about them. They require no batteries this helps to encourage children to use a lot of their skills; storytelling, role playing, imaginative play. 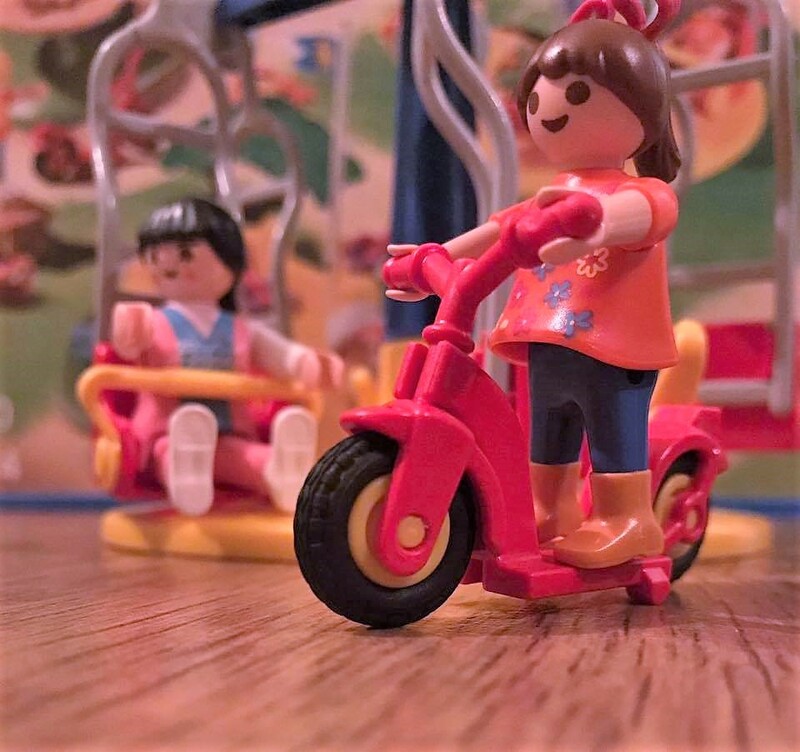 Playmobil toys are a true classic! 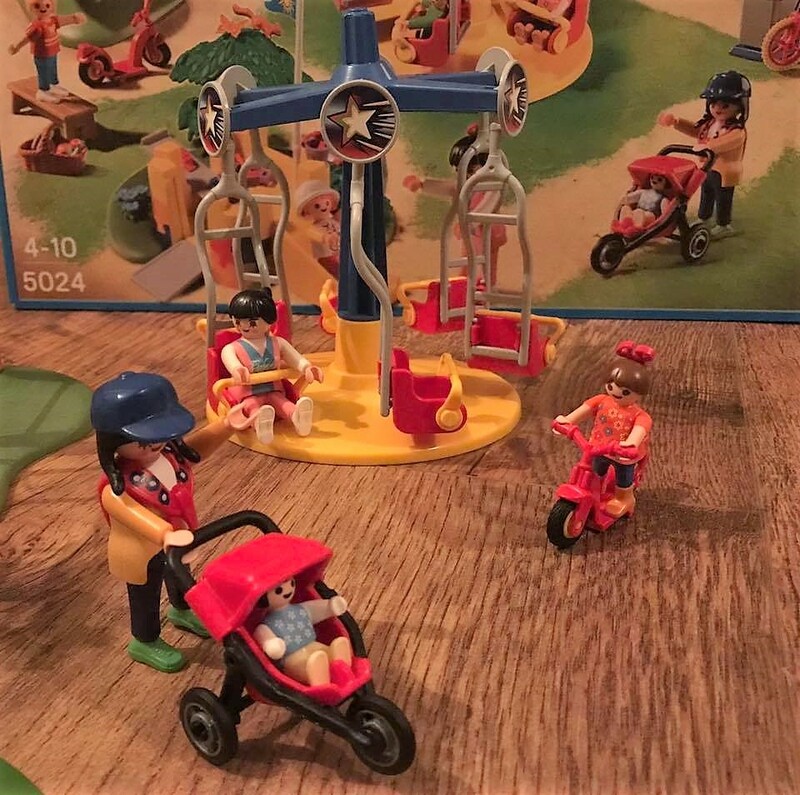 thing happening with this Playmobil set. It will be one that they won’t want to part with and will pass down to future generations.This set comes packaged in a cardboard box. Inside all of the pieces are wrapped in plastic. As with all Playmobil sets there is a bit of construction to do. Luckily though all the sets come with simple to understand instructions! Some bits were fiddly to put together, but for the most part it was really easy. Once the set was completed we sat back and admired it. It is such a lovely set for any child of any age! The pieces are chunky and well made,. We love the detail of the accessories that come with this like the BBQ tongs and the crate for the bottles to go in! The bike, scooter and skateboard add an extra level of play to this already super fun set. Watch as the skateboarder rolls down the ramp and cycle the bike around the park. All while mum and baby watch on in the sweet little pram, and the kids play in the sand. The sand castle is just too cute! With a little bridge, seesaw and slide your figures can have lots of fun here! 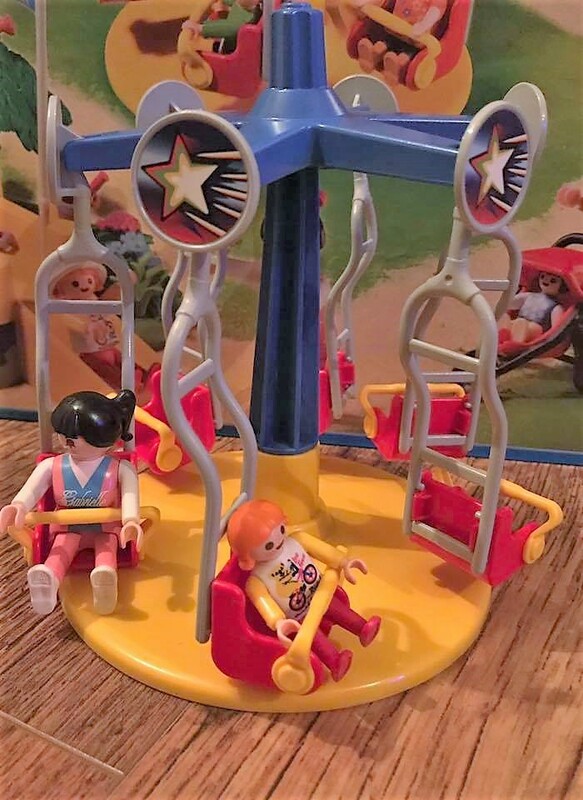 The chair carousel allows you to place your figures in the chairs and then you can spin them around, the swing set has a tyre swing and a rocking boat. Smyths toys offer a huge selection of the Playmobil products in store and online. 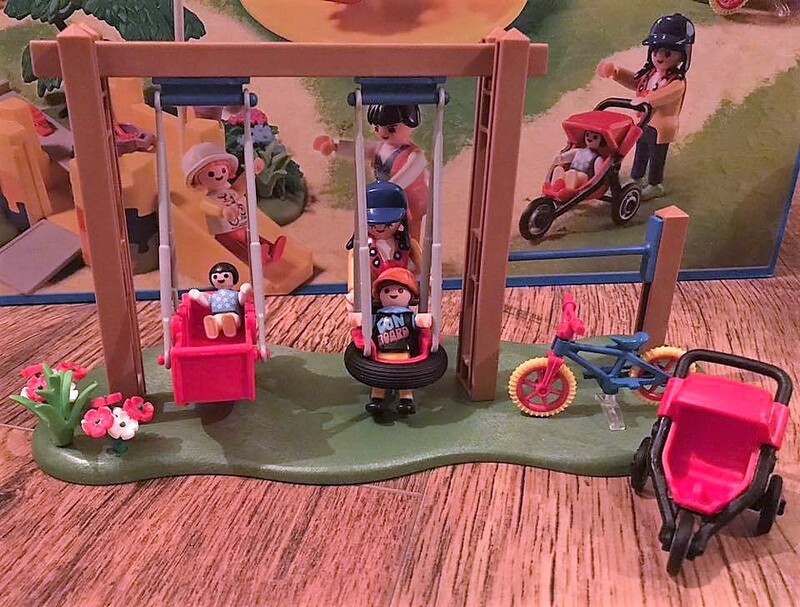 Overall we absolutely love the Playmobil City Life Childrens Playground, it is durable, bright and colourful and provides hours of imaginative playtime. For the purpose of this review we were sent the above mentioned Playmobil set and a Smyths voucher. All thoughts and opinions are our own. 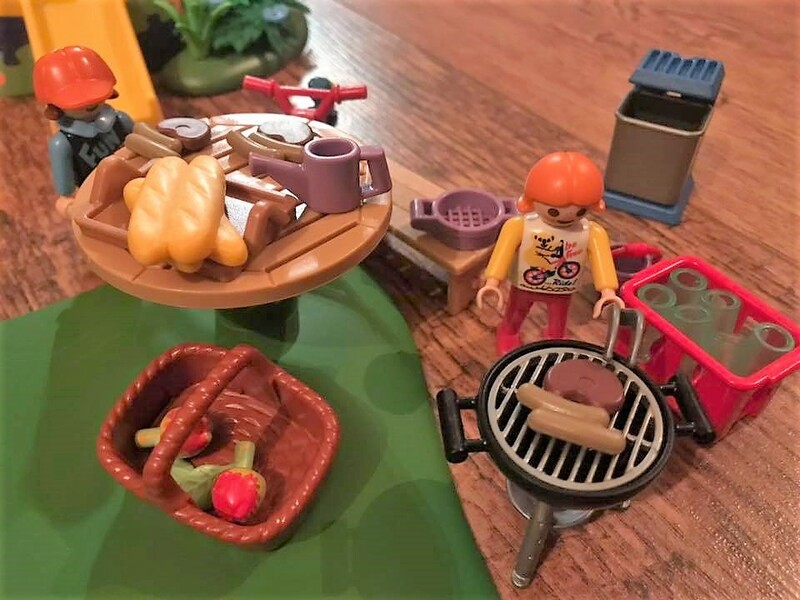 I love this playset. We received one to review too. I love all the different parts and accessories. Hours of fun!